TRUE continues its tradition of high quality and craftsmanship with the C900. 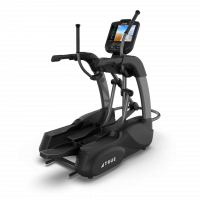 The C900 Elliptical offers TRUE’s patented Core Drive® system that provides the most natural movement and keeps the user in the center of the exercise motion for superior balance, stability and comfort. 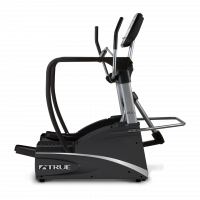 The C400 Elliptical from TRUE combines the durability and performance expected all over the world from a TRUE product. The small and compact footprint of the C400 allows you to place this elliptical machine in tight spaces where a traditional front or rear-drive elliptical might not work. 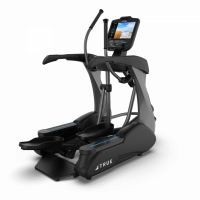 The TRUE C200 Elliptical combines the durability and performance expected all over the world from TRUE, in a compact design to maximize your space. The C200 provides an effective, low-impact workout that delivers optimal results. Covered with a solid warranty, the C200 will meet the demands of use for years to come. TRUE has a history and reputation for quality and durability, and the PS100 Elliptical lives up to those standards. 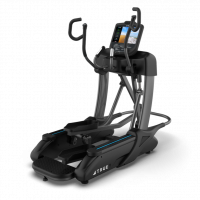 The Most Versatile Cardio Machine On the Market: a stepper, elliptical and runner all in one machine. The TRUE Spectrum provides versatility for every user with 1″ stride adjustments from 13″ to 30″. With quick keys, users can go from a stepping motion to a full-stride running motion with the push of a button, to work out a variety of muscle groups in one cardio session.